Looking for an opportunity to own your own oceanfront property in Wrightsville Beach? 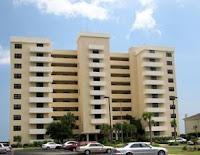 We currently are listing 1704 North Lumina Ave Unit-5 in the Islander Condominiums. Relax on your oceanfront balcony overlooking the private pool, hit the tennis courts, or take advantage of the Islander's private beach entrance. This 3 bedroom, 2 bath end unit offers ocean views from the living room, kitchen, and the balcony off of the master suite. The Islander is a well established and well managed community with secure entry, elevator access, and on-site management. Enjoy low maintenance living in this great Wrightsville Beach condo.